Avail Sari Pieces in attractive and bold colors which are apt for â��Kinkyâ�� knitting, weaving, and various types of surface decoration. 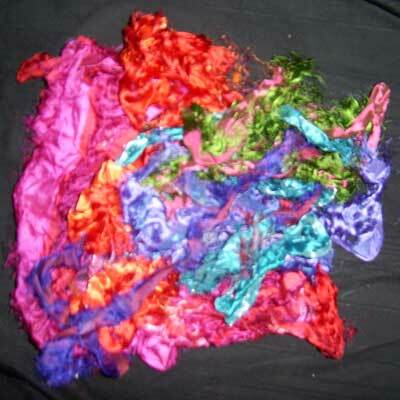 The Remnant Silk Sari Pieces are a well-structured yarn that procured from the strips of Sari Fabric Remnants. As there is no such dye lots, there is a very limited possibility of getting two skeins alike but we having strong manufacturing capability, we are able to provide similar skeins for a particular project. Besides, you can also entertain you creative edge with a huge lot of colorful strips.